Shaver, Gaius R, and F Stuart Chapin III. “Response To Fertilization By Various Plant Growth Forms In An Alaskan Tundra: Nutrient Accumulation And Growth”. Ecology 61, no. 3. Ecology (1980): 662-675. doi:10.2307/1937432. F Stuart Chapin III, and Gaius R Shaver. “Changes In Soil Properties And Vegetation Following Disturbance Of Alaskan Arctic Tundra”. Journal Of Applied Ecology 18, no. 2. Journal Of Applied Ecology (1981): 605-617. doi:10.2307/2402420. Lechowicz, M. J, and Gaius R Shaver. “A Multivariate Approach To The Analysis Of Factorial Fertilization Experiments In Alaskan Arctic Tundra”. Ecology 63, no. 4. Ecology (1982): 1029-1038. doi:10.2307/1937242. Chester, A. L, and Gaius R Shaver. “Reproductive Effort In Cotton Grass Tussock Tundra”. Holarctic Ecology 5, no. 2. Holarctic Ecology (1982): 200-206. doi:10.1111/j.1600-0587.1982.tb01037.x. McGraw, James B, and Gaius R Shaver. “Seedling Density And Seedling Survival In Alaskan Cotton Grass Tussock Tundra”. Holarctic Ecology 5, no. 2. Holarctic Ecology (1982): 212-217. doi:10.1111/j.1600-0587.1982.tb01039.x. Chester, A. L, and Gaius R Shaver. “Seedling Dynamics Of Some Cotton Grass Tussock Tundra Species During The Natural Revegetation Of Small Disturbed Areas”. Holarctic Ecology 5, no. 2. Holarctic Ecology (1982): 207-211. doi:10.1111/j.1600-0587.1982.tb01038.x. Shaver, Gaius R. “Mineral Nutrition And Leaf Longevity In Ledum Palustre : The Role Of Individual Nutrients And The Timing Of Leaf Mortality”. Oecologia 56, no. 2-3. Oecologia (1983): 160-165. doi:10.1007/BF00379686. F Stuart Chapin III, and Gaius R Shaver. “Individualistic Growth Response Of Tundra Plant Species To Environmental Manipulations In The Field”. Ecology 66, no. 2. Ecology (1985): 564-576. doi:10.2307/1940405. Shaver, Gaius R, and F Stuart Chapin III. 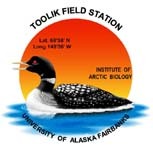 “Effect Of Fertilizer On Production And Biomass Of Tussock Tundra, Alaska, U.s.a”. Arctic And Alpine Research 18, no. 3. Arctic And Alpine Research (1986): 261-268. doi:10.2307/1550883.